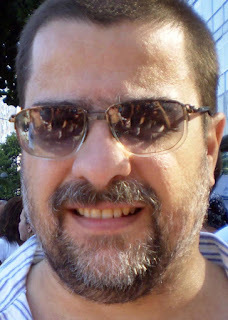 Carlos Alberto da Costa AMORIM was born in Rio de Janeiro, Brasil, in 1964. He started to publish his works in 1984 at Pasquim, a humoristical newspaper. Actually he publishes his editorials cartoons, caricatures and comics strips in many brazilian newspapers and magazines. He produced humour texts (1994) and animations (2004) for the television net Rede Globo and he is author of a cartoon book called Canastra Suja (1991).